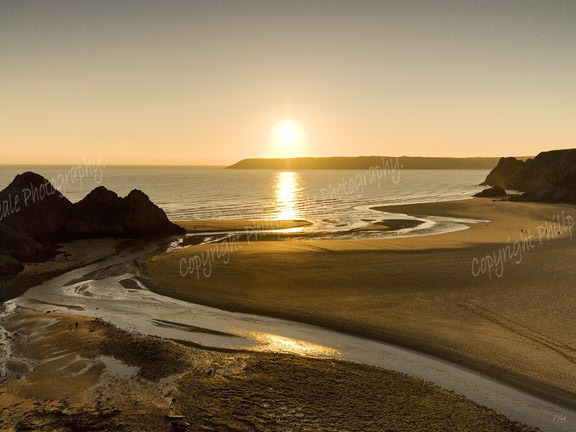 Philip Veale Photography: Winter Sunset, Three Cliffs Bay. Winter Sunset, Three Cliffs Bay. The sun setting at the end of a bright, cold winter's day on the Gower Peninsula. Location: Three Cliffs Bay, Gower.